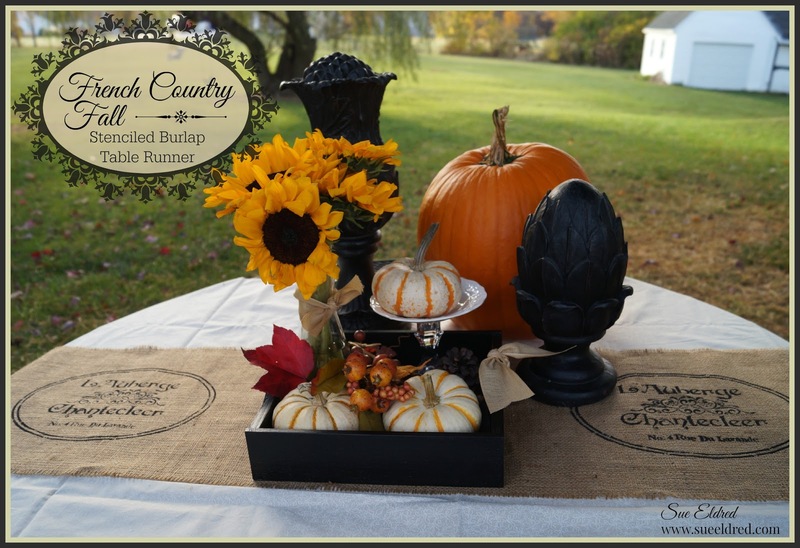 French Country Inspired Stenciled Burlap Table Runner for Fall. This table runner is a Quick & Easy DIY project with no sewing involved. Festive Holiday Wreaths - On a Budget!